Who's that hottie on the Harley?? 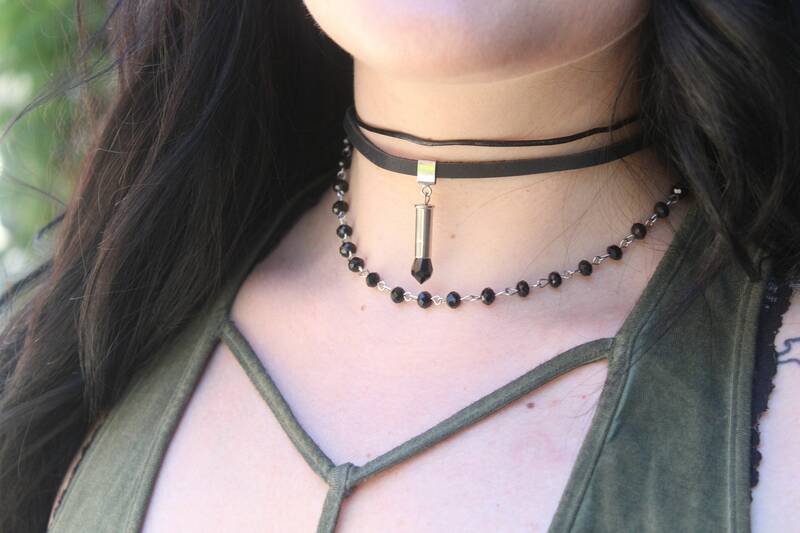 Channel your inner badass with this gorgeously edgy choker featuring a 22 Bullet casing and Jet Black Swarovski cyrstal. 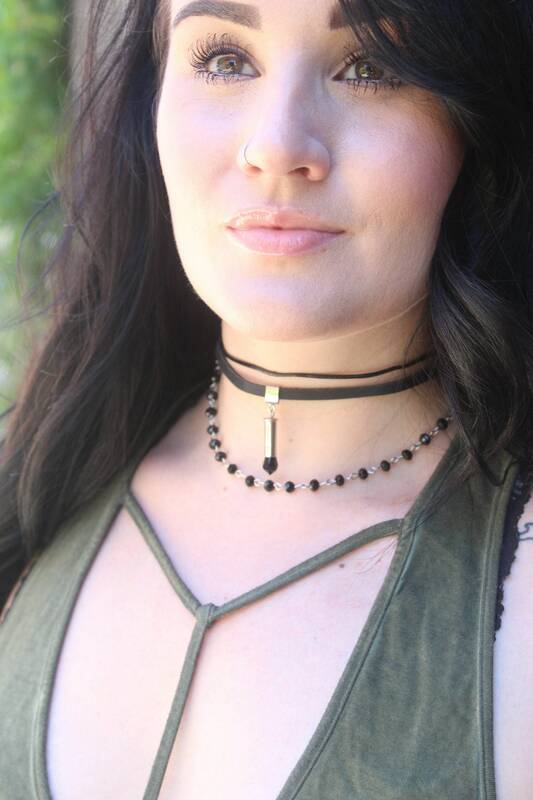 - Black goes with everything, hello! 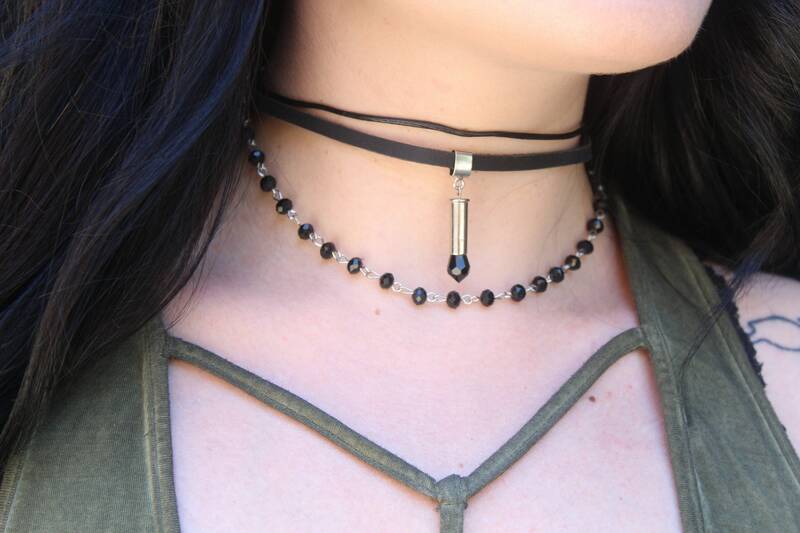 - The rosary beads are so gently placed at the base of this choker, adding an elegant touch to the rough around the edges appeal. - Structured Genuine Leather offers a soft, flexible wear for any temperature and occasion.